Our client, Nupur, wanted a cake with a Black & Gold theme for her father-in -laws 75th Birthday. 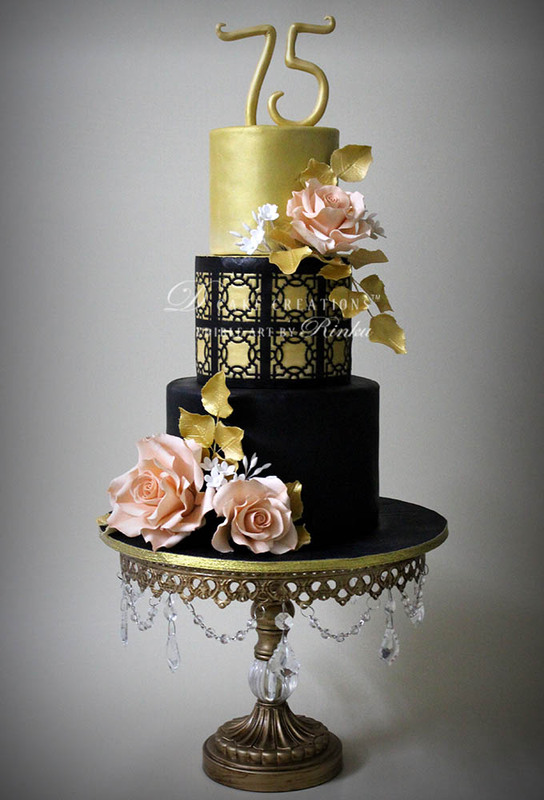 We referred to few images on the internet for this theme, until Nupur selected what she thought was the best for this occasion, a Dramatic Black and Gold Cake, created by Jennifer La. The cake was delivered at Grande Imperial Banquet, 4 Bungalows, Andheri (West).